Now that helps me understand why any criticism of the State of Israel today so often elicits accusations of vile anti-Semitism. To express any criticism of Israel is to invite condemnation as being a terrorist sympathizer, a Jew-hater. Any expression of criticism of Israel would rob Israel, Jews generically, of their status as “universal victims”. In the wake of the 1967 “Six Day War” the Holocaust became “the ultimate event, the ultimate mystery, never to be comprehended or transmitted”. (Even biblical scholar Richard Bauckham removes the Holocaust from the realm of comprehensible human experience in his Jesus and the Eyewitnesses.) The only appropriate response to this sacral veneration of an atrocity has been to reverence the Jewish State (as a Jewish state) and all that it does and stands for. Reading about the hatred towards Jews since the advent of the “age of rationalism” has been a sobering, informative, and very sad, even despairing, experience. To turn to the news today and still see ant-Semitic hate groups (and individuals) today unafraid to publicly express their hatred is truly horrific. One can well understand why some Jews have traditionally sought to escape all the trappings associated with their heritage found in both the ghetto and their religion. One can understand, also, why other Jews have sought to preserve a diluted, moderated, “reasonable” version of their religious heritage in Reformed Judaism. Some want to escape their identity as Jews altogether; others want to hold on to their tribal family, whether that family finds religious or secular expression. Reading the above titles brings one closer to a sympathy for “the Jewish people”, even though probably a significant minority of them would clearly not want to have anyone express race-based sympathy for them. 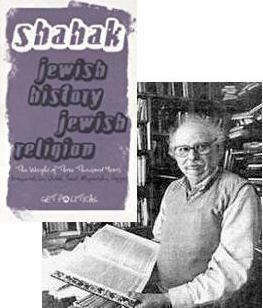 Even Shahak’s book evokes sympathy for those Jews who, like him, see right through the hypocrisy of many traditional Jewish beliefs and practices. What one is left with after reading these authors’ works is an acute awareness of the diversity of all humanity. There is no “typical Jew” any more than there is a “typical Australian” or “typical human”. To some extent, Jews have historically evinced traits that have invited the opprobrium of their host countries. That is, sometimes there has been too much truth behind some of the racial stereotypes. (The Jewish authors of the books I read acknowledge this all too frequent historical blight.) That does not justify condemnation of Jewish communities and persons who have sometimes behaved in offensive ways. We are all the products of our environments and will tend to do whatever we know works in order to survive. So when I continue to post on the historical background to today’s State of Israel I hope to do so with a little more understanding of the world in which those posts are not welcome. No matter what I say, no matter what justifications for my posts that I present, I am going to have to accept that those posts are appearing in a world that holds Jews and Israel as “universal victims” who have been sanctified by the “transcendental religious concept” of the Holocaust. That has been the state of the world these past fifty years. My posts won’t change that fact, obviously. But maybe that’s all the more reason for the effort to be made and left on record nonetheless. I only hope I can do so with more understanding of the false understanding that they are attempting to address. I would also wish that some of my critics who are quick to accuse me of anti-Semitism acquired a more enlightened understanding of the real nature of anti-Semitism and the histories and checkered identities of Jews these past two hundred years. Posted on 2017-10-16 08:22:36 GMT+0000 by Neil Godfrey. This entry was posted in Israel-Palestine, Racism and tagged Israel-Palestine, Zionism. Bookmark the permalink. Try reading the bible for a grisly history of Semitism. The term “antisemitism” was invented by antisemites because they wanted it to sound scientifically valid. The majority of people who hate black people, or women, aren’t particularly supportive of science, unlike the Germans. Yes they wanted to sound scientific and missed by a country mile in all semitic peoples…quite agree. I mean in applying the term to all semitic peoples. sorry. 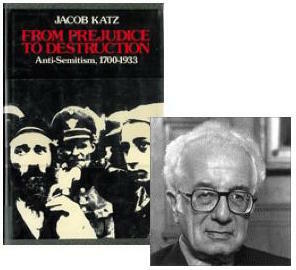 Learning about anti-Semitism by reading Jewish authors is like learning about God by reading the Bible. Both biased and with an agenda. Both blaming the other. Both fictional. Let’s say that we do not have to explain why the Bible is all that, let’s say that we have to explain the fiction of those Jewish “historians”. Their fiction is that they portrait the Jews as saints of the world and victims of their times. For example Yuri portrait the Jewish youth who rallied to advance Bolshevism as victims of their time, he does not bother to explain why they are overrepresented, he just present it as a general Jewish attribute. When they are talking about the so-called Jewish assimilation they forget to mention what those Jews said when they accomplished their goals. e.g. Einstein. Or let’s get Yuri’s Mercurians and the Apollonians. He totally ignores that Jews the so-called Mercurians are totally dependent of the so-called Apollonians. He totally ignores the fact that only Jews had this privileged from Christians and Muslims. I mean enter and exit a state. He present them as the victims without a state who are willing to change a state (Russia) to something universal. He totally ignores the fact that those “Mercurians” can just fly away to another state and etc. The problem is that when you study the Bible, you know the agenda of those “historians”, you know what they are trying to hide and make it more obscure to their readers. They know that racial hatred became known to the world by the Bible. e.g. Hatred of the Egyptians. But of course they forget this fact when they use the Bible to tell the early “history” of the Jews. They forget that the Bible blamed the downfall of the mythical Israel to their surrounding influences. They forget that the Bible explains why those people are trying (trained) to be overrepresentatives. Over all those authors are writing for the people who never studied the Bible and this is part of their agenda. They are trying to hide the fact that a religion can shape the phsihc of the believer and make us believe that Jews are just the victim of prejudice and superstition, when at the same time they use their Jewish prejudice and superstitions to portrait everybody else! I applaud your clear rejection of antisemitism. The sad situation in the world today is that we can’t repeat often enough how despicable antisemitism is, in all its forms. In your last paragraph, you say you would like to see “a more enlightened understanding of the real nature of anti-Semitism”. Hence, it is instructive to consider what antisemitism actually is, and how it manifests itself today. I refer to the US Dept. of State definition dd. Jan 20, 2017*, and the definition adopted by the current UK government – which is basically the same. I hope this will support you to keep steering clear of antisemitism in your posts. I reject those political definitions of anti-semitism. 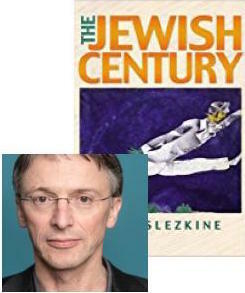 They deny the nature of anti-semitism as expressed by the Jewish authors whose books I have discussed above, as well as the Jewish authors of several other books I have read in recent years. The definition of anti-semitism that you promote denies the right of Jews to maintain their identity and citizenship rights in Israel if they disagree politically and ideologically with the Zionist ideology that has carried over into the modern world from the darkest days of nationalist irrationalism and violence. That you should equate support for a racist form of a state and nationalist ideology with a right of people to exist is abominable. It is a violation of the fundamentals of human rights to equate a people with a political state. To do so is to perpetuate racism and violence. You are espousing the very ideology that the authors of those books condemn. I deplore your innuendo that I have expressed at any time any anti-semitism in my posts. You have clearly missed the point of the post above. I request an apology. The principle of Israel as ‘a Jewish state’ was supremely important to Israeli politicians from the inception of the state and was inculcated into the Jewish population by all conceivable ways. When, in the early 1980s, a tiny minority of Israeli Jews emerged which opposed this concept, a Constitutional Law (that is, a law overriding provisions of other laws, which cannot be revoked except by a special procedure) was passed in 1985 by an enormous majority of the Knesset. By this law no party whose programme openly opposes the principle of ‘a Jewish state’, or proposes to change it by democratic means, is allowed to participate in the elections to the Knesset. I myself strongly oppose this constitutional principle. The legal consequence for me is that I cannot belong, in the state of which I am a citizen, to a party having principles with which I would agree and which is allowed to participate in Knesset elections. Even this example shows that the State of Israel is not a democracy due to the application of a Jewish ideology directed against all non-Jews and those Jews who oppose this ideology. But the danger which this dominant ideology represents is not limited to domestic affairs. It also influences Israeli foreign policies. This danger will continue to grow, as long as two currently operating developments are being strengthened: the increase in the Jewish character of Israel and the increase in its power, particularly in nuclear power. Another ominous factor is that Israeli influence in the USA political establishment is also increasing. Hence accurate information about Judaism, and especially about the treatment of non-Jews by Israel, is now not only important, but politically vital as well. Let me begin with the official Israeli definition of the term ‘Jewish’, illustrating the crucial difference between Israel as ‘a Jewish state’ and the majority of other states. . . . Therefore, the real test facing both Israeli and diaspora Jews is the test of their self-criticism which must include the critique of the Jewish past. 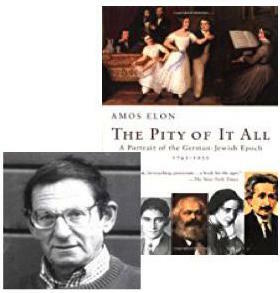 The most important part of such a critique must be detailed and honest confrontation of the Jewish attitude to non-Jews. This is what many Jews justly demand from non- Jews: to confront their own past and so become aware of the discrimination and persecutions inflicted on the Jews. In the last 40 years the number of non-Jews killed by Jews is by far greater than the number of the Jews killed by non-Jews. The extent of the persecution and discrimination against non-Jews inflicted by the ‘Jewish state’ with the support of organised diaspora Jews is also enormously greater than the suffering inflicted on Jews by regimes hostile to them. Although the struggle against antisemitism (and of all other forms of racism) should never cease, the struggle against Jewish chauvinism and exclusivism, which must include a critique of classical Judaism, is now of equal or greater importance. For the avoidance of doubt, can you specify the “historically evinced traits”, which “invite the opprobrium of their host countries” and lie behind the “racial stereotypes”? And if they are indeed “traits”, how can the racial stereotypes you mention really be stereotypes? From memory the author was referring to the characteristics of the lower-class Jews that upward mobile Jews were desperate to leave behind. They deplored the superstition and ignorance of their racial kin in the ghettoes, and their failure to learn the host countries language in order to speak it fluently, and their all-too-often pushiness as traders. As for that last point, I can well imagine people from very poor communities gaining a reputation for being cheats and anti-social from the way many of them try to push a sale of some trinket on passers-by. I am speaking from my experiences of travelling in some very poor countries in South-East Asia. Of course not all of the national race are like that, or at least they are not when you get to know them. But poverty and having no few if any other means of getting an income does lead many of them to make themselves obnoxious to passers by. My recollection is that this is the sort of thing that the author was referencing. Many of the upwardly mobile Jews, those who had opportunities to go to universities, for example, sought to distance themselves from their Jewish culture — rejecting the sabbath, the accents, and even changing their names. I got to know a professor of ancient history from Hebrew University, Jerusalem, who was at the U. of Chicago on sabbatical, and took several walks talking with him. He gave me his explanation of Zionism. He was a first-generation Israeli in Israel’s founding. He was from Poland. He was the only survivor of his family, fifty members of his family had been lost in the Holocaust. He said Zionism is a solution to a problem Jews have faced in European history: how to live without being killed. I asked if things had changed, citing the Catholic Church and Lutheran bodies who have renounced anti-semitism and so on. He said that was not reliable: “children grow up with it [anti-semitism] in their mother’s milk”, referring to experience in Poland and elsewhere in Europe. So, as he put it, the question for Jews was: how to live without being murdered–how was that to be accomplished? He said historically Jews have come up with three solutions. The first was the religious solution, messiahs. He said that had not worked. The second was working for a just world safe for all peoples to live in, and in such a world Jews would now be safe, among all the peoples of the world who would all be safe, in such a world. He said that was why some Jews had been attracted to Communism. He said that second solution had not worked either, in solving the problem for Jews of being murdered. The third solution, he said, is a nineteenth-century idea, nationalism: have a piece of land and defend it. He said that was what Zionism was, and there was no guarantee that that would work either, but he had dedicated his life to making it work, that it was up to the Jewish people to make it work. He said his position on the Palestinians was this: he did not care about Palestinians, neither positively or negatively; he did not wish them any harm, he said, but he cared about the survival of Jews. He told me he supported returning the West Bank to Palestinians on rational grounds: if Israel kept the West Bank they would have to at some point give the Palestinians there citizenship and the right to vote, and he reasoned that Israel’s Jewish character could not survive that demographically; therefore Israel should return the West Bank to Palestinian control, the two-state solution. If Israel’s survival required it he would march all the way to Baghdad, he said. But this should entirely, in his view, be based on military considerations, not biblical or theological. So that was the case for Zionism as it was explained to me firsthand. I am aware of the other side to the story, of ongoing horrors experienced by Palestinians. As an American I am painfully aware of my nation’s own history with dispossession of native peoples, westward expansion, Manifest Destiny, the mind-numbing horrors in history and national karma and continuing in other lands today. I think of the Quaker settlement of Pennsylvania as an historic example of settlement done peacefully, by peaceful treaties and honoring of treaties (as Voltaire famously said of Quaker treaties with Native Americans: “the only treaties never sworn to and ever kept” by the incoming Europeans). That this is not a frivolous example is underscored by the way Native Americans were widely feared by whites at the time as terrorists and savages, and the scale of settlement of the Pennsylvania colony over 70 years of Quaker control of Pennsylvania. Yet Quakers were never attacked by and maintained peaceful and respectful relations with the surrounding “terrorists” throughout this time. I fervently honor the dissident voices both of the past and today who challenge with intelligence and courage the oppressions of empires and nation-states of minority peoples, in every land but hardest to do in one’s own, typically reviled by contemporaries, voices such as Noam Chomsky. I long for a world one day in which every oppressed people can have recourse to an international court, to have their day in court, to be heard, and to have grievances fairly adjudicated through a just due process, and enforced by a well-regulated international militia, with Bills of Rights and checks and balances. In other words: my Hebrew University professor friend’s rejected second solution. The pattern we see is oppressed people trying to do things in a way in which their oppressors will stop trying to kill them. The problem is obviously that the oppressed people didn’t need to do anything in the first place to cause their oppressors to want to kill them and therefore there is nothing they could ever do to make up for that. At the same time as Israel enforces the rights of a particular race, so to does the United States and Canada and Australia and New Zealand, any country with an oppressed aboriginal population. So it is no surprise that these countries and fundamentally incapable of ameliorating problems of racial oppression.